The Corales Golf course has 6 distinct holes that over great views over the Ocean. The rest of the course is more inland. The layout is very generous enabling all golfers to enjoy the game and also shoot good scores. 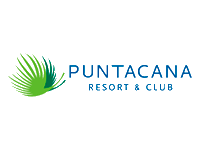 The La Cana Golf has 27 great holes offering a big variety of skills test and shot making tatics. Tortuga being the shortest with some nice layout features and a great par 3 next to the ocean. Hacienda being all inland and also with spacious holes asking for precise shots to small greens. Arrecife is a mix of the other two courses. Quite long holes with 3 great finishing holes next to the ocean. All in all a good course but the greenspeed could be improved. ‚La Cana‘ besteht aus drei 9-Loch-Schlaufen: Auf ‚Tortuga‘ und ‚Arrecife‘ sieht man einige Male das Meer oder spielt diesem entlang - spektakulär und toll für‘s Auge. Auf ‚Hacienda‘ sieht man dagegen nie das Meer, dafür ist es golferisch gesehen das spannendste Layout. Am besten alle 27 Löcher spielen! ‚Corales‘ ist ein Top-Platz, auf dem auch die PGA-Tour Halt macht. Die Löcher 8, 9 und 18 auf den Klippen sind eine Klasse für sich. Nicht gerade günstig, aber definitiv ein Muss, wenn man in der Gegend ist.